Well, not only am I back in Australia now, but I have been for two whole weeks, and I don’t even have any flights booked at any stage in the future! After two years of always having at least one flight booked on the immediate horizon, this is quite the change. So it’s time to settle down again, and let my enjoyment of globe-trotting take its place as something to look forward to for some well-earned holidays – once they’re well-earned, obviously – not something to dominate my every day. For regular readers still wondering about the rest of my trip, post South America, don’t worry – it’s still coming. Job-hunting and apartment-finding, etc., obviously have my focus right now. But memories of Rio, of the US, and of Central America are still fresh, and itchy fingers still have stories to tell. All in good time. Now, where’s that coffee machine? Ah, still in the same spot it’s been the whole last two weeks. Excellent! One of the benefits of being a shiftless unemployed travelling hobo is that I don’t have to deal with many of the day-to-day boredoms that inhabit you regular people’s lives. In particular, I don’t have to fill out many forms. But there’s a few occasions when I do, and every time, I come across this weird existential moment when I get to the bit marked ‘residential address’. Because I’m on a longer-than-one-year trip around the world. I don’t really have a ‘residential address’. I just don’t have a home. This is slightly irritating in the sense that I have to invent something for the purpose of filling out the form. But anyway, my (somewhat belaboured) point is that I don’t really have a home. 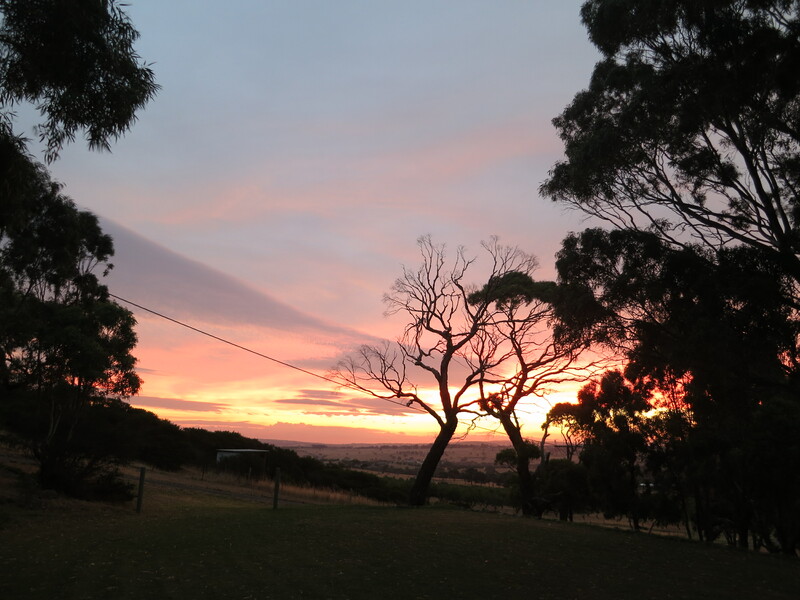 But to the extent that I would call anywhere ‘home’, it would be South Australia. More specifically, if I’m heading ‘home’, I’m heading to my parents’ place just out of Victor Harbor, a bit over an hour south of Adelaide. And for most of December, I was back ‘home’. After our months in South-East Asia, and a brief couple of days back in Singapore again, suddenly, it was time to get on a plane back to Australia. To stop travelling for three weeks, and to spend my first Christmas back in Oz since I moved to London in the beginning of 2009. And, to my surprise, to be greeted at the airport at stupid o’clock in the morning when my flight arrived by not just my parents, but also my sister and her fiancé – the two who were the reason for me coming back at all, to help celebrate their wedding in late December. And, apparently, to help them move in to their new apartment that afternoon. Now, I can’t imagine that reading about my time back in Adelaide will be of much interest to many readers here. Either you know me, and if you’re interested in my day-to-day life, you’ll already know (via Facebook or in person or whatever), or you don’t, in which case you just won’t care. And anyway, I spent most of my time catching up with friends and family and relaxing – none of which is (a) interesting to anyone other than me, nor (b) any of your business! But there’s three things I do want to cover here. 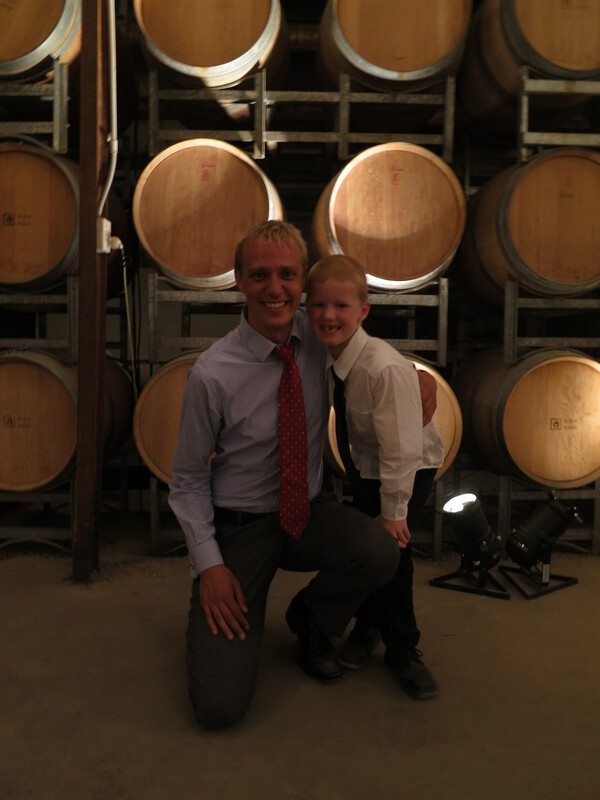 First, I was back in Australia for my sister Hanika’s graduation and, more importantly, wedding. 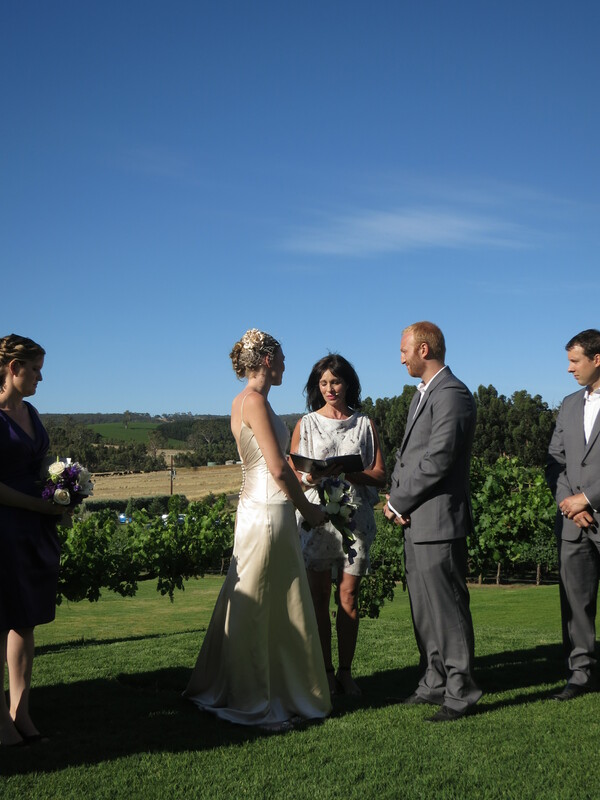 Once again, congratulations Hanika and Seb, who had a beautiful ceremony up at Bird in Hand Winery on what couldn’t have been a more stunning evening in late December. 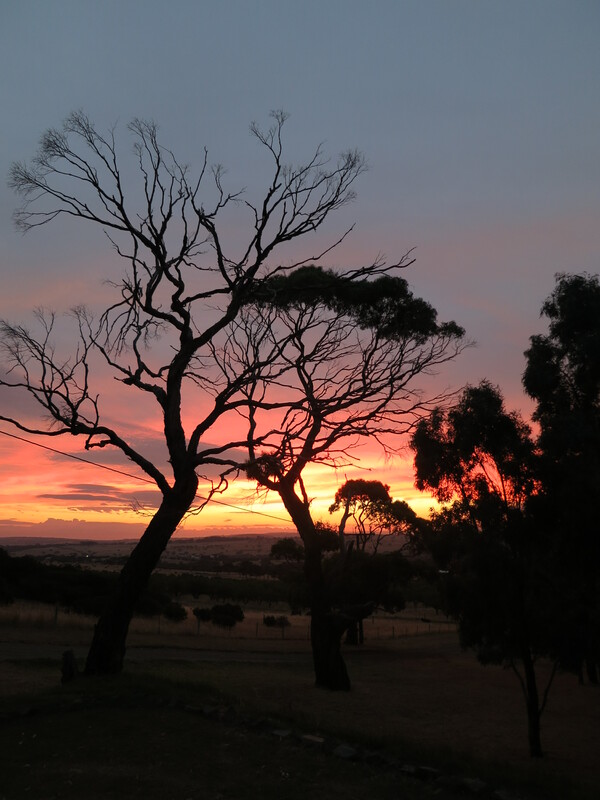 Second, how nice are these sunset photos, taken on my parents’ farm down near Victor Harbor? 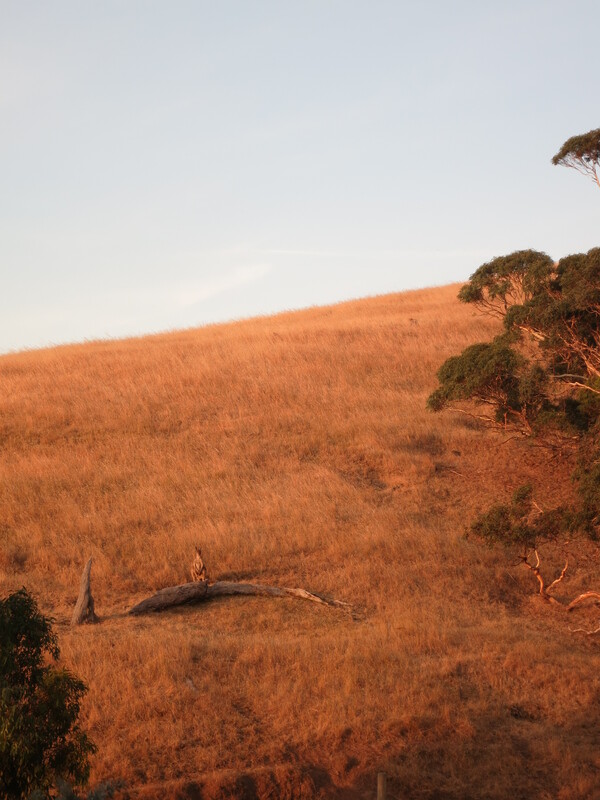 It wouldn’t be an Australia photo without a kangaroo (centre-left), would it?